No matter how long you’ve lived in your home, it can always be an emotional time to let go of a part of your life. This is one of the most common reasons why people often forget that they need to treat their house as an asset, and not as a home. You want to advertise your home as a place that someone can make their home, not show that you’ve made it yours. The key to selling your home is to make it as easy as possible for buyers to picture themselves living in your house. It can feel like a strange concept at first, people living in your home, the place you’ve made so many memories in. Storing certain items away can make your house seem a lot more appealing to buyers, and help them to imagine themselves living in your home. Many of us will have hundreds of items of clothing in our wardrobe, even though we wear the same selection of clothes constantly. These unworn clothes are taking up precious space in your wardrobes, space that you can show buyers how useful it is. Buyers will be looking through each one of your cupboards and wardrobes to see how much space they have. It is important to showcase these selling points, without unused clothes cluttering these spaces. The sale period should hopefully not be that long, so you won’t have to give up half of your wardrobe forever. Plus if you are storing your belongings with Storage Giant you can always pop in and swap some clothes for some other ones from your storage unit. Depending on the household, you could have a small toolbox or a shed filled with an array of different tools. Unless you’re selling a workshop, no one needs to see a home filled up with tools. You also shouldn’t need any tools to fix up your house while it’s on the market. If your house does need some work, then it might be a good idea to take it off the market and make the repairs. If you are worried about parts in your house needing to be fixed during the sale period, you can keep a small toolbox with the essential tools. We all have those certain items that don’t have much use, yet we still hold onto them. While we like having these items dotted around the house, reminding us of certain times in our lives, to buyers they will just look like clutter. The best way to sell your home is to keep it looking as simple as possible. Throughout your house you should limit the amount of personal items you have. You can have a few photo frames scattered around the house, this will help the buyers to imagine the best places for their own family pictures. 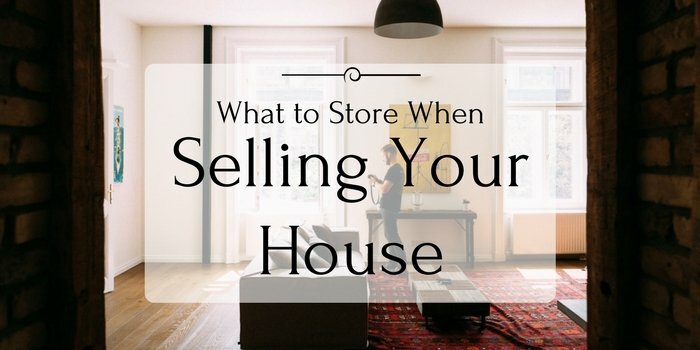 Putting some of these items into storage will allow you to showcase some of the main selling points of your house. One of the most important selling points for any house is the amount of space it has.